As its name implies, ransomware is a type of malware or virus that denies you access to your machine, essentially holding your data hostage until you complete a survey or pay a fee in order to unlock and use your device. Traditionally posing a threat to PCs exclusively, ransomware has recently been detected in iPhones, iPads, and Mac computers as well as in Android mobile devices. There are several ways through which ransomware can attack your gadget. One way is via attachments to emails. 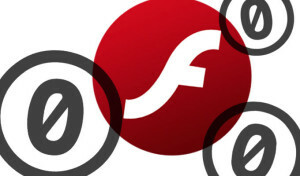 Another is through exploiting security flaws in an installed application or in your device’s operating system. The aforementioned CryptoWall virus’ preferred avenue of incursion is through fake update notices for applications like Adobe Reader and Java. Even advertisements on major websites could be harboring ransomware. Whereas no gadget is immune, PCs running Windows XP are especially vulnerable to ransomware, as Microsoft ended support for XP in April. When it comes to ransomware, infection is only the tip of the iceberg. 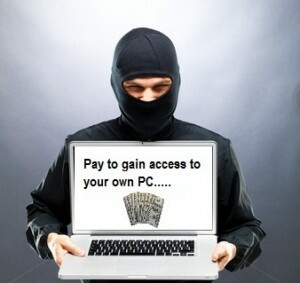 Ransomware uses sophisticated techniques to extort users into paying money. One strain of ransomware assumes the identity of the FBI or your local police department and demands that you pay a fine through legitimate money transfer service like Green Dot MoneyPak or anonymous services such as BitCoin, to avoid prosecution for a bogus Internet law infraction and regain access to your device. Victims of a ransomware outbreak in Australia report their iPhone’s “Find My iPhone” feature’s alarm wailing as a message demanding a money transfer via PayPal appeared on the screen. If ransomware is holding your data captive, do not call Liam Neeson to rescue it and definitely do not cave to its requests! Contact Geeks on Wheels. 914-562-1800. 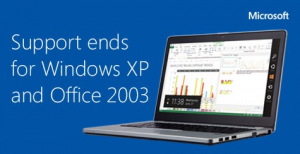 Microsoft ended support for Windows XP on April 8th. If you have an older computer it is time to move on to newer and better technologies. After April 8th, Microsoft will no longer publish any security updates for the 12 year old operating system, and they will no longer support the development of software from third parties. There will be little to no new software developed by any manufacturer for Windows XP, and computers with this OS will become increasingly vulnerable to security risks, viruses, and hacker exploits. On the positive side, upgrading to the latest versions of Windows and Office provide a productivity boost. As always, we are here to help you with the transition. We are actively and efficently rolling out zippy new computers to our clients. When disposing of your formerly loved computers, tablets, phones, and other electronics there are two key factors to keep in mind: your data and the environment. Electronics contain toxic pollutants, including mercury and lead. Please do not dispose of your old iPad, phone, or any other electronics into your garbage. Doing so is harmful to the environment and is illegal. Geeks on Wheels is now offering eWaste recycling at no charge. 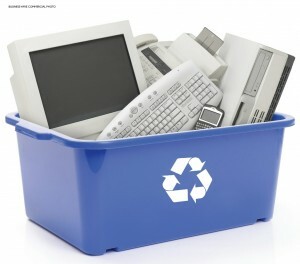 We are accepting retired computers, laptops, tablets, and mobile phones for environmentally friendly recycling. Simply bring your old electronics to our office at 47 Halstead Ave, Harrison, NY. Additionally, many municipalities in Westchester offer eWaste recycling by appointment or drop off at a local waste facility. Whenever you dispose of electronics it is highly recommended to remove any sensitive data the device may contain. The process to do this varies based on what the device is. This is a fairly simple process. 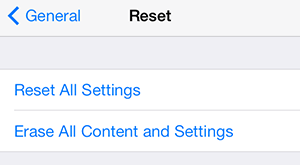 Head to Settings, then General, press Reset, and finally select Erase All Content and Settings. For most Android devices, go to Settings, Backup & Reset, and select Reset Phone. Securely deleting the data from a desktop or laptop computer is a bit more complicated and does take some time. The correct way to do it is using software the overwrites everything on the hard drive multiple times. This ensures that the data is not recoverable. Our technicians are available to securely erase any hard drive for you. 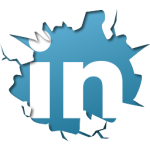 We use specially designed software that performs a random multi-pass overwrite of your data to ensure that nobody can read your sensitive data. We perform this service as a discounted rate. Please give us a quick ring to let us know you are going to bring the computer in, 914-562-1800. 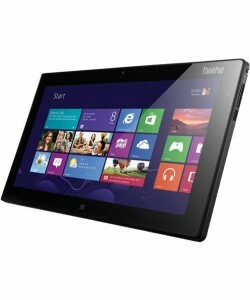 When it comes to portable tablet computing, we find that the best platform is Windows 8. Unlike an Apple tablet, many Windows tablets include a fully featured Windows 8 operating system. 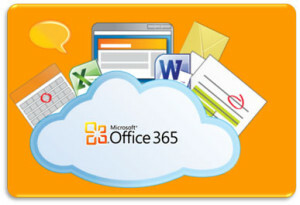 This means you not only have access to apps, but it is also a full computer that can run anything from Microsoft Outlook and Word to any USB printer or external hard drive. If you are interesting in finding out more or would like to purchase the above tablet please give us a ring at 914-562-1800. We frequently recommend Lenovo computers. Often, though, we find that many of our customers are unfamiliar with the Lenovo brand. Where did this company come from? Lenovo is the company that took over the personal computing division of IBM, headquartered in Armonk. Lenovo continues to impress us not only with their ability to continue IBM’s legacy of high quality computing equipment, but also with their exceptional business practices. Lenovo is a Chinese corporation, but they do manufacture here in the United States. And their CEO recently made headlines with his second year of generosity towards his workers, both Chinese and American. This report about Lenovo’s business practices was recently broadcast on ABC’s World News. In recent years DropBox has been gaining popularity as the first choice for those trying out cloud-based file storage and sharing. 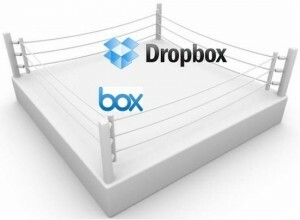 Dropbox is beginning to overshadow competing products, many of which have not only been in the game for more years but also offer more features and control. One we particularly like is Box.com. SmallNetBuilder.com recently published an article that explains why many seasoned IT Pro’s recommend Box.com over DropBox. We recommend checking this out. This video is a great introductory explanation of what “cloud computing” means.